Irish Garden House: Lighting Up . . . Lighting Up . . .
''tis the season for things like this"
Love this, Liz! Such a wonderful time of year. 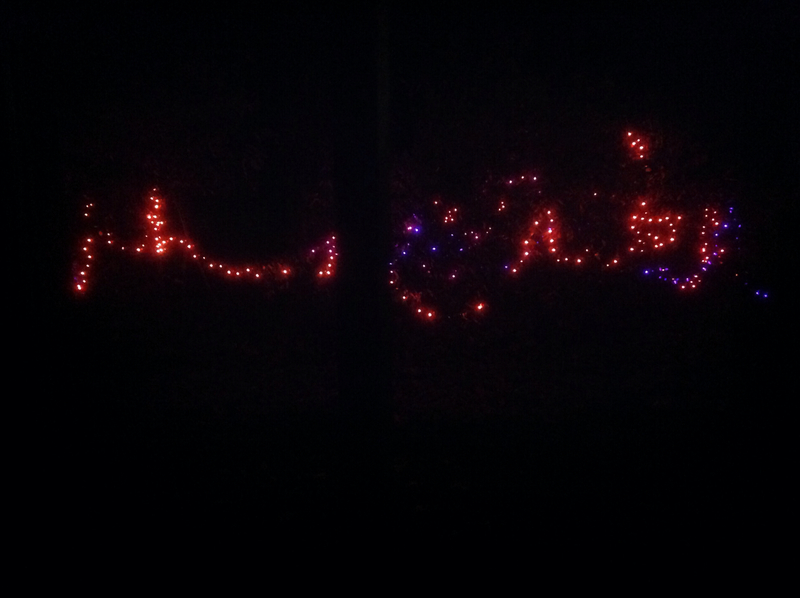 Every season is just right for twinkling lights ! 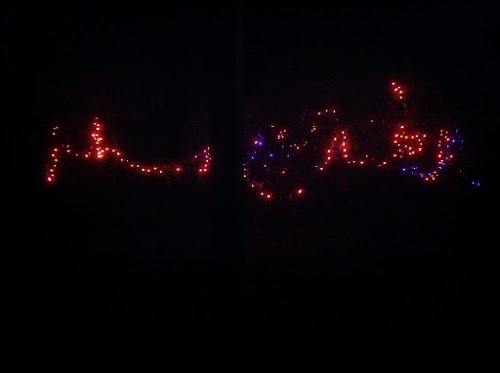 I strung orange lights through purple and orange mesh along the front of our porch, and put glowing orange lights in the giant metal jack o lanterns. I agree, makes things quite festive!! Have a wonderful beginning to a new week. Sure is and it looks great! It's neat. Really adds to the festive feel. Do you get many trick and treaters? I do love this time of year!! I have some orange lights..but no energy to put them up. Maybe next year I will feel more like it. I've never seen lights that color before..PERFECT!! How sweet! 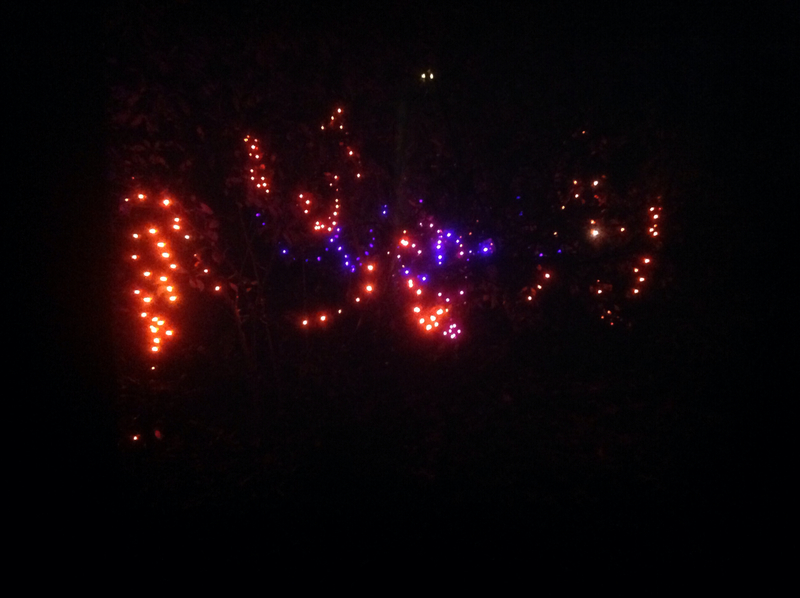 I love fairy lights, Christmas lights, solar lights...! Ha! Our neighborhood has really gone all out with Halloween decorations...maybe its a diversion from the election!! Good catching up with you...your grands are just precious! I have one and two more on the way. How they enrich our lives! I'm checking to see if the newspaper I'm writing for can be accessed online. All of you ladies are so sweet. I had tears in my eyes reading your comments. Sniff! Have a wonderful week, Lynne! Nice! Halloween is such fun! 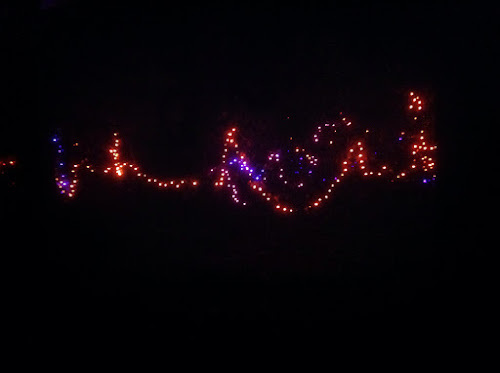 Nothing makes me happier than holiday lights! Fabulous! 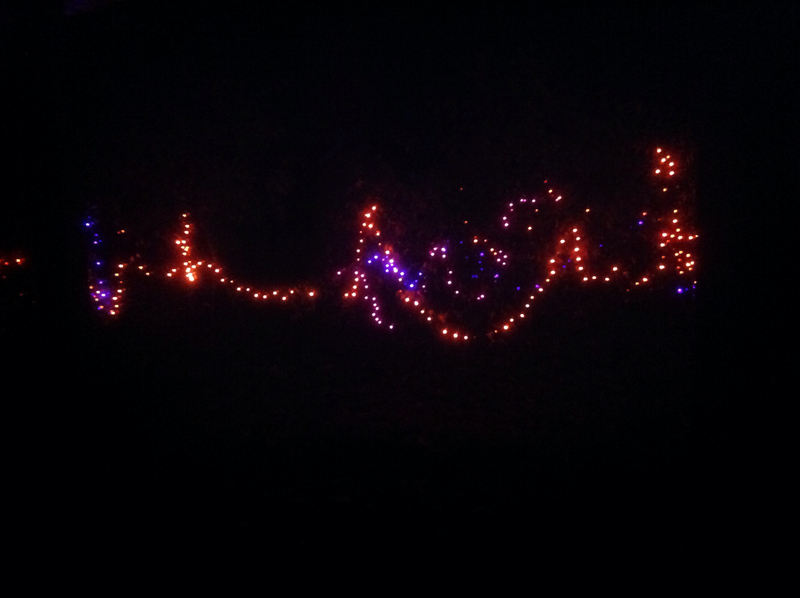 Hello, Lynne, I like the Halloween lights. 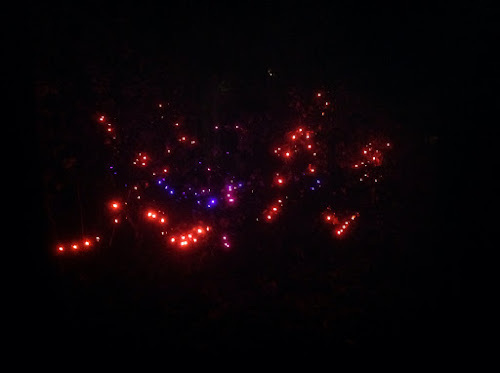 They are pretty lit up at night! Enjoy your day! Fun!! I love outside twinkle lights especially at Christmas and through the long dark winter months here. So cheery! Oh, that's pretty! Although it could be Christmas ... which I can't believe is just around the corner! Wells is obsessed with all the "SMOOKY" Halloween things and would adore your lights.